This 24-oz. 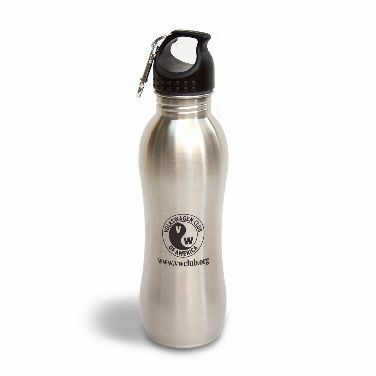 stainless fitness bottle has ergonomic curved design, is FDA-compliant, non-toxic, reusable and recyclable. Includes twist top and carabiner clip.